The Z960M ZTrak mower provides professional landscape contractors with a powerful, reliable machine at an affordable price point. 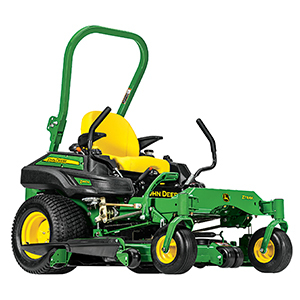 Boasting 31.0 HP, the Z960M is available in three deck offerings – 60 inch, 60 inch Mulch On Demand™ or 72 inch. Available with a variety of options, including dump-from-seat Material Collection System capability, 3-way adjustable suspension seats and easy-to-use diagnostics, the Z960M is designed to provide an efficient solution to meet the needs of landscape contractors.